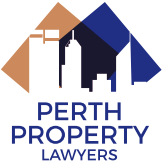 Perth Property Lawyers exists to provide fast, high quality property law documents and services on a fixed-fee basis. We’re committed to offering fixed fees for all of our documents and services. We are transparent about what we charge. A list of our fixed fees for different types of documents and services is available here. All of our services are provided by senior lawyers with local industry experience and knowledge. Our documents are comprehensive, up-to-date, and designed to protect our clients’ interests. We maintain an established network of connections in the property industry to keep abreast of industry developments. We back our cost-effectiveness and quality with a turnaround guarantee that is unique among Western Australian property law firms. If we accept an instruction from you, and fail to turn around a document or service within two business days, we’ll halve our usual fixed fee. The terms and conditions of this guarantee are available here.